The gale of 1898 – now known as the “Portland Gale” – resulted in the sinking of over 140 vessels in New England over the course of the storm. Among those vessels was the freighter Penatoget, which was sailing a route from New York City to Rockland, Maine and then Bangor at the time of the November gale. She was reportedly carrying a cargo of toys intended for holiday shoppers in Maine when she went missing during the Portland Gale. 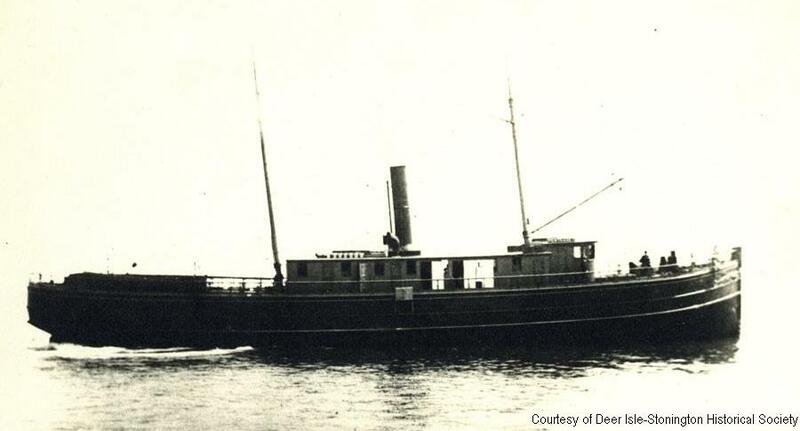 The Pentagoet was owned by the Manhattan Steamship Company at the time of her loss. Originally constructed as the Hero in 1864, this wooden-screw, two-masted vessel had seen long service previously as a Civil War era gunboat, then a revenue cutter before being condemned by the government in 1890 for its poor condition. At that time, the Bibb was sold at public auction for $1500 on November 22, 1890 to G.H. Kimball. The Pentagoet was in rather terrible condition at the time of the purchase – having only undergone a previous refit in 1881 that had resulted in the 114 foot long vessel being lengthened to 128.8 feet as well as having its deck raised. Shortly after having been purchased at auction, the vessel was sold again – this time for $20,000 – in Portland, Maine and renamed the Pentagoet. The vessel was immediately put into service running sardines from New York to Eastport, ME, all with little to no improvements ever made. The Pentagoet was largely considered a “cheap job” with a “greasy, dirty look” by those familiar with her. Given the vessel’s construction many also believed the Pentagoet was unfit for open Atlantic Ocean operations. Given it’s location on the Bank the wreck site is swept by very strong currents that routinely run in the 1.5 knot range. Therefore dives are generally timed to occur around slack water, which is a very short window of opportunity. Even working around slack water, divers must still contend with currents in the 0.5-1 knot range, which makes for difficult diving conditions. As of our last exploration of the wreck site in 2005, the team observed the wreck itself to be almost entirely sanded in with small sections of wooden beams protruding from the seabed. A lone mast stretches up about 15 feet into the water column with coil of link chain around it – indicating this mast was used as the fixed attachment point for the anchor chain. A large box-like structure can also be found partially buried. The anchor chain itself stretches straight out trailing away into the sand. Despite being so heavily sanded in, this is a very interesting wreck site and it’s clear that there is much beneath the sand. As the live sand shifts due to currents and storms, one can never be sure what will be revealed or hidden with each subsequent visit. Visibility in this area is excellent with approximately 40-50 feet in the water column, with a dimmer 30-40 feet presenting on the bottom. Since this wreck is sanded in and there is very little structure, navigation can be challenging and much of the dive is spent at near maximum depth of 170 feet. This wreck site is an ideal location for utilizing DPVs given the depth, the current and lack of much wreck structure to shield divers from the current on the bottom.